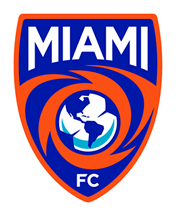 Miami, FL (February 19, 2016) – Miami FC announced the signing of Brazilian striker Pablo Campos today. The former Minnesota United forward has played in the North American Soccer League (NASL) since 2011 and became the first modern day NASL player to reach 50 career goals. Campos had an excellent professional soccer debut in 2007 with the Premier Development League’s (PDL) Fresno Fuego. He scored a total of 32 goals in 25 games during his two seasons with the PDL team. After a brief stint with Swiss soccer club GAIS, the exemplary striker kicked off his career in Major League Soccer (MLS) with the San Jose Earthquakes where he netted two goals and totaled 27 appearances. He then transferred to Real Salt Lake where he helped the team take home the 2009 MLS Cup. 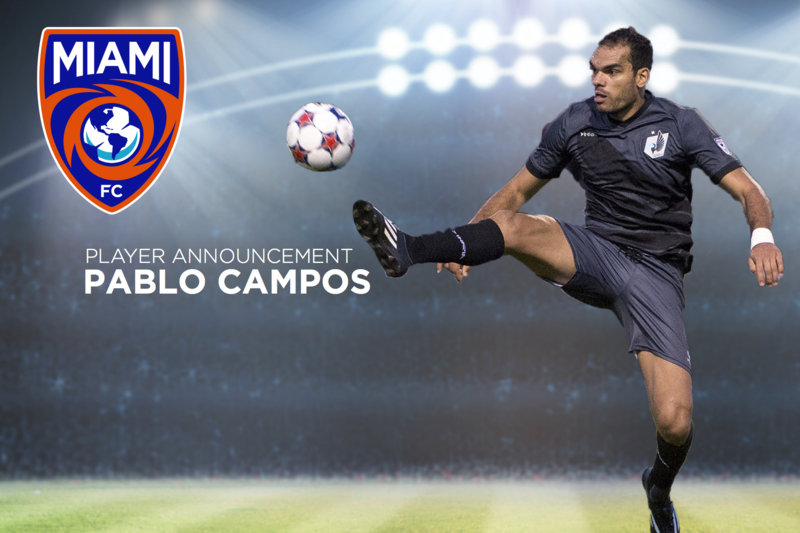 Campos made his NASL debut with the Carolina RailHawks in 2011 and since his start with the league he has consistently been one of its most successful players. After contributing a total of 12 goals in 26 appearances with the RailHawks, the 33-year-old forward made the move to the San Antonio Scorpions where he was awarded the Golden Boot (most goals) and Golden Ball (MVP) for his notable performances. Recently, Campos wrapped up his time with Minnesota United where he played for three years. In his time with the team, the striker racked up 20 goals, six assists and more than 3,000 minutes in 56 appearances. He had several milestone moments with Minnesota, including becoming the first modern NASL player to reach 50 career goals. Campos played an important role in developing the Minnesota United brand both on the field and in the community.